Dr M E J Hughes’s new book on the library of Samuel Pepys is included in an article about current interest in the diarist published in the recent TLS: Eye on posterity (March 16). The article by the historian Arnold Hunt shows how recent scholarship has opened up the study of Pepys as a reader and a collector, as well as assessing the recent ground-breaking exhibition in Greenwich on Pepys and his times. 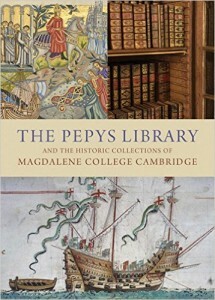 M E J Hughes, The Pepys Library and the Historic Collections of Magdalene College (Scala, 2015) is available now.